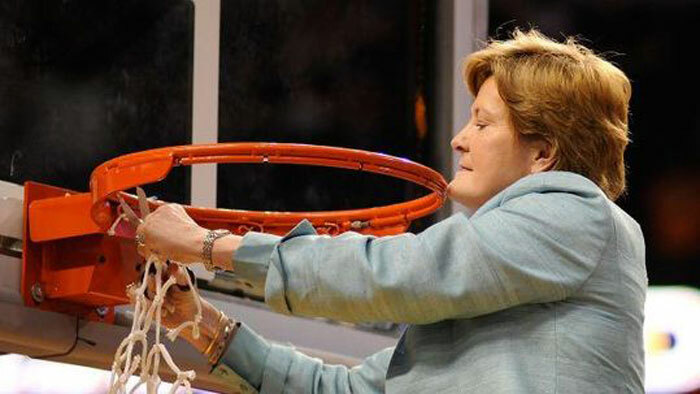 Pat Summitt’s struggle with Alzheimer’s disease is finally over. Her son, Tyler Summitt announced that his famous mother died peacefully Tuesday morning surrounded by those who loved her the most. She died at the age of 64 after a five-year battle with early onset dementia, Alzheimer’s type. Summitt was a remarkable basketball coach – more than just the winningest coach in NCAA history, she was considered the gold standard in women’s coaching circles (including the men’s teams she had coached). But she did more than teach basic basketball skills and create winning basketball teams. Wins count, to be sure. But the above tributes and the many, many others being offered say more about who Summitt was at her core; she was more than simply numbers on a scoreboard. She knew how to motivate people and get them to give their best; she also knew that they needed to learn about how to live successfully when they were no longer playing basketball. the Federal Reserve Board all have in common? The answer was Pat Summitt. Understanding that her value and worth transcended basketball, these four very different agencies and businesses had hired her as a motivational speaker.